The new Kia Optima is available at Quirk Kia of Manchester, NH. This mid-size sedan features an outstanding bold style, incredible performance, and today's modern technology. A reborn design and exhilarating exterior show off its detail-oriented features. The layout of the new Kia Optima focuses on comfort and convenience. Its spacious cabin, heated/ventilated seats and advance technology options let you relax behind the wheel. With an engine that is efficiently built into every vehicle, the new Kia Optima is known to turn fuel into adrenaline. If you are leaning towards a green option, the Kia Optima Hybrid has an effortless style that meets eco-friendly efficiency. Its hybrid technology maximizes every ounce of fuel while providing a smooth ride. Find a Kia Optima that fits your needs at Quirk Kia of Manchester today! Delivers 33 Highway MPG and 24 City MPG! This Kia Optima delivers a Regular Unleaded I-4 2.4 L/144 engine powering this Automatic transmission. SPARKLING SILVER, OPTION GROUP 010 -inc: standard equipment, CARPET FLOOR MATS. *This Kia Optima Comes Equipped with These Options *BLACK, CLOTH SEAT TRIM, Wheels: 6.5J x 16 Silver Alloy, Variable intermittent wipers, Urethane Gear Shift Knob, Turn-By-Turn Navigation Directions, Trunk Rear Cargo Access, Trip computer, Transmission: 6-Speed Automatic w/Sportmatic -inc: paddle shifters and drive mode select system (comfort, eco, sport), Tires: P205/65R16, Tire Specific Low Tire Pressure Warning. * Stop By Today *Stop by Quirk Kia NH located at 1300 South Porter Street, Manchester, NH 03103 for a quick visit and a great vehicle! Delivers 33 Highway MPG and 24 City MPG! This Kia Optima boasts a Regular Unleaded I-4 2.4 L/144 engine powering this Automatic transmission. OPTION GROUP 010 -inc: standard equipment, EBONY BLACK, CARPET FLOOR MATS. * This Kia Optima Features the Following Options *BLACK, CLOTH SEAT TRIM, Wheels: 6.5J x 16 Silver Alloy, Variable intermittent wipers, Urethane Gear Shift Knob, Turn-By-Turn Navigation Directions, Trunk Rear Cargo Access, Trip computer, Transmission: 6-Speed Automatic w/Sportmatic -inc: paddle shifters and drive mode select system (comfort, eco, sport), Tires: P205/65R16, Tire Specific Low Tire Pressure Warning. * Visit Us Today *You've earned this- stop by Quirk Kia NH located at 1300 South Porter Street, Manchester, NH 03103 to make this car yours today! Boasts 33 Highway MPG and 24 City MPG! This Kia Optima delivers a Regular Unleaded I-4 2.4 L/144 engine powering this Automatic transmission. SPARKLING SILVER, OPTION GROUP 010 -inc: standard equipment, CARPET FLOOR MATS. *This Kia Optima Comes Equipped with These Options *BLACK, CLOTH SEAT TRIM, Wheels: 6.5J x 16 Silver Alloy, Variable intermittent wipers, Urethane Gear Shift Knob, Turn-By-Turn Navigation Directions, Trunk Rear Cargo Access, Trip computer, Transmission: 6-Speed Automatic w/Sportmatic -inc: paddle shifters and drive mode select system (comfort, eco, sport), Tires: P205/65R16, Tire Specific Low Tire Pressure Warning. * Stop By Today *For a must-own Kia Optima come see us at Quirk Kia NH, 1300 South Porter Street, Manchester, NH 03103. Just minutes away! Boasts 33 Highway MPG and 24 City MPG! This Kia Optima boasts a Regular Unleaded I-4 2.4 L/144 engine powering this Automatic transmission. OPTION GROUP 010 -inc: standard equipment, MUD GUARDS FRONT & REAR, EBONY BLACK. * This Kia Optima Features the Following Options *CARPET FLOOR MATS, BLACK, CLOTH SEAT TRIM, Wheels: 6.5J x 16 Silver Alloy, Variable intermittent wipers, Urethane Gear Shift Knob, Turn-By-Turn Navigation Directions, Trunk Rear Cargo Access, Trip computer, Transmission: 6-Speed Automatic w/Sportmatic -inc: paddle shifters and drive mode select system (comfort, eco, sport), Tires: P205/65R16. * Stop By Today *A short visit to Quirk Kia NH located at 1300 South Porter Street, Manchester, NH 03103 can get you a reliable Optima today! Scores 33 Highway MPG and 24 City MPG! This Kia Optima delivers a Regular Unleaded I-4 2.4 L/144 engine powering this Automatic transmission. OPTION GROUP 010 -inc: standard equipment, MUD GUARDS FRONT & REAR, EBONY BLACK. *This Kia Optima Comes Equipped with These Options *CARPET FLOOR MATS, BLACK, CLOTH SEAT TRIM, Wheels: 6.5J x 16 Silver Alloy, Variable intermittent wipers, Urethane Gear Shift Knob, Turn-By-Turn Navigation Directions, Trunk Rear Cargo Access, Trip computer, Transmission: 6-Speed Automatic w/Sportmatic -inc: paddle shifters and drive mode select system (comfort, eco, sport), Tires: P205/65R16. * Visit Us Today *You've earned this- stop by Quirk Kia NH located at 1300 South Porter Street, Manchester, NH 03103 to make this car yours today! Scores 33 Highway MPG and 24 City MPG! This Kia Optima boasts a Regular Unleaded I-4 2.4 L/144 engine powering this Automatic transmission. OPTION GROUP 010 -inc: standard equipment, MUD GUARDS FRONT & REAR, EBONY BLACK. * This Kia Optima Features the Following Options *CARPET FLOOR MATS, BLACK, CLOTH SEAT TRIM, Wheels: 6.5J x 16 Silver Alloy, Variable intermittent wipers, Urethane Gear Shift Knob, Turn-By-Turn Navigation Directions, Trunk Rear Cargo Access, Trip computer, Transmission: 6-Speed Automatic w/Sportmatic -inc: paddle shifters and drive mode select system (comfort, eco, sport), Tires: P205/65R16. * Visit Us Today *For a must-own Kia Optima come see us at Quirk Kia NH, 1300 South Porter Street, Manchester, NH 03103. Just minutes away! Delivers 33 Highway MPG and 24 City MPG! This Kia Optima delivers a Regular Unleaded I-4 2.4 L/144 engine powering this Automatic transmission. OPTION GROUP 010 -inc: standard equipment, MUD GUARDS FRONT & REAR, EBONY BLACK. * This Kia Optima Features the Following Options *CARPET FLOOR MATS, BLACK, CLOTH SEAT TRIM, Wheels: 6.5J x 16 Silver Alloy, Variable intermittent wipers, Urethane Gear Shift Knob, Turn-By-Turn Navigation Directions, Trunk Rear Cargo Access, Trip computer, Transmission: 6-Speed Automatic w/Sportmatic -inc: paddle shifters and drive mode select system (comfort, eco, sport), Tires: P205/65R16. * Visit Us Today *Stop by Quirk Kia NH located at 1300 South Porter Street, Manchester, NH 03103 for a quick visit and a great vehicle! Boasts 33 Highway MPG and 24 City MPG! This Kia Optima boasts a Regular Unleaded I-4 2.4 L/144 engine powering this Automatic transmission. OPTION GROUP 010 -inc: standard equipment, HORIZON BLUE, CARPET FLOOR MATS. *This Kia Optima Comes Equipped with These Options *BLACK, CLOTH SEAT TRIM, Wheels: 6.5J x 16 Silver Alloy, Variable intermittent wipers, Urethane Gear Shift Knob, Turn-By-Turn Navigation Directions, Trunk Rear Cargo Access, Trip computer, Transmission: 6-Speed Automatic w/Sportmatic -inc: paddle shifters and drive mode select system (comfort, eco, sport), Tires: P205/65R16, Tire Specific Low Tire Pressure Warning. * Stop By Today *For a must-own Kia Optima come see us at Quirk Kia NH, 1300 South Porter Street, Manchester, NH 03103. Just minutes away! Scores 33 Highway MPG and 24 City MPG! This Kia Optima boasts a Regular Unleaded I-4 2.4 L/144 engine powering this Automatic transmission. SNOW WHITE PEARL, MUD GUARDS FRONT & REAR, CARPET FLOOR MATS. *This Kia Optima Comes Equipped with These Options *BLACK, CLOTH SEAT TRIM, Wheels: 6.5J x 16 Silver Alloy, Variable intermittent wipers, Urethane Gear Shift Knob, Turn-By-Turn Navigation Directions, Trunk Rear Cargo Access, Trip computer, Transmission: 6-Speed Automatic w/Sportmatic -inc: paddle shifters and drive mode select system (comfort, eco, sport), Tires: P205/65R16, Tire Specific Low Tire Pressure Warning. * Stop By Today *Stop by Quirk Kia NH located at 1300 South Porter Street, Manchester, NH 03103 for a quick visit and a great vehicle! Delivers 33 Highway MPG and 24 City MPG! This Kia Optima delivers a Regular Unleaded I-4 2.4 L/144 engine powering this Automatic transmission. SNOW WHITE PEARL, OPTION GROUP 010 -inc: standard equipment, MUD GUARDS FRONT & REAR. * This Kia Optima Features the Following Options *CARPET FLOOR MATS, BLACK, CLOTH SEAT TRIM, Wheels: 6.5J x 16 Silver Alloy, Variable intermittent wipers, Urethane Gear Shift Knob, Turn-By-Turn Navigation Directions, Trunk Rear Cargo Access, Trip computer, Transmission: 6-Speed Automatic w/Sportmatic -inc: paddle shifters and drive mode select system (comfort, eco, sport), Tires: P205/65R16. * Stop By Today *For a must-own Kia Optima come see us at Quirk Kia NH, 1300 South Porter Street, Manchester, NH 03103. Just minutes away! Scores 33 Highway MPG and 24 City MPG! This Kia Optima boasts a Regular Unleaded I-4 2.4 L/144 engine powering this Automatic transmission. SNOW WHITE PEARL, OPTION GROUP 010 -inc: standard equipment, MUD GUARDS FRONT & REAR. * This Kia Optima Features the Following Options *CARPET FLOOR MATS, BLACK, CLOTH SEAT TRIM, Wheels: 6.5J x 16 Silver Alloy, Variable intermittent wipers, Urethane Gear Shift Knob, Turn-By-Turn Navigation Directions, Trunk Rear Cargo Access, Trip computer, Transmission: 6-Speed Automatic w/Sportmatic -inc: paddle shifters and drive mode select system (comfort, eco, sport), Tires: P205/65R16. * Visit Us Today *Stop by Quirk Kia NH located at 1300 South Porter Street, Manchester, NH 03103 for a quick visit and a great vehicle! Scores 33 Highway MPG and 24 City MPG! This Kia Optima delivers a Regular Unleaded I-4 2.4 L/144 engine powering this Automatic transmission. SNOW WHITE PEARL, OPTION GROUP 010 -inc: standard equipment, CARPET FLOOR MATS. * This Kia Optima Features the Following Options *BLACK, CLOTH SEAT TRIM, Wheels: 6.5J x 16 Silver Alloy, Variable intermittent wipers, Urethane Gear Shift Knob, Turn-By-Turn Navigation Directions, Trunk Rear Cargo Access, Trip computer, Transmission: 6-Speed Automatic w/Sportmatic -inc: paddle shifters and drive mode select system (comfort, eco, sport), Tires: P205/65R16, Tire Specific Low Tire Pressure Warning. * Visit Us Today *For a must-own Kia Optima come see us at Quirk Kia NH, 1300 South Porter Street, Manchester, NH 03103. Just minutes away! Scores 33 Highway MPG and 24 City MPG! This Kia Optima delivers a Regular Unleaded I-4 2.4 L/144 engine powering this Automatic transmission. SNOW WHITE PEARL, OPTION GROUP 010 -inc: standard equipment, CARPET FLOOR MATS. * This Kia Optima Features the Following Options *BLACK, CLOTH SEAT TRIM, Wheels: 6.5J x 16 Silver Alloy, Variable intermittent wipers, Urethane Gear Shift Knob, Turn-By-Turn Navigation Directions, Trunk Rear Cargo Access, Trip computer, Transmission: 6-Speed Automatic w/Sportmatic -inc: paddle shifters and drive mode select system (comfort, eco, sport), Tires: P205/65R16, Tire Specific Low Tire Pressure Warning. * Stop By Today *A short visit to Quirk Kia NH located at 1300 South Porter Street, Manchester, NH 03103 can get you a reliable Optima today! Scores 33 Highway MPG and 24 City MPG! This Kia Optima delivers a Regular Unleaded I-4 2.4 L/144 engine powering this Automatic transmission. SNOW WHITE PEARL, OPTION GROUP 010 -inc: standard equipment, CARPET FLOOR MATS. * This Kia Optima Features the Following Options *BLACK, CLOTH SEAT TRIM, Wheels: 6.5J x 16 Silver Alloy, Variable intermittent wipers, Urethane Gear Shift Knob, Turn-By-Turn Navigation Directions, Trunk Rear Cargo Access, Trip computer, Transmission: 6-Speed Automatic w/Sportmatic -inc: paddle shifters and drive mode select system (comfort, eco, sport), Tires: P205/65R16, Tire Specific Low Tire Pressure Warning. * Stop By Today *For a must-own Kia Optima come see us at Quirk Kia NH, 1300 South Porter Street, Manchester, NH 03103. Just minutes away! Delivers 33 Highway MPG and 24 City MPG! This Kia Optima delivers a Regular Unleaded I-4 2.4 L/144 engine powering this Automatic transmission. SANGRIA, OPTION GROUP 045 -inc: LX Premium Package, Dual Zone Automatic Climate Control, 10-Way Power Adjustable Driver's Seat, 2-way power lumbar support, Wheels: 17 Alloy, Auto Dimming Rear View Mirror, Leather Wrapped Steering Wheel, Gloss Black Door Pillars, LED Overhead Front & Rear Reading Lights, Panoramic Sunroof, Tires: P215/55R17, LX PREMIUM PACKAGE -inc: Dual Zone Automatic Climate Control, 10-Way Power Adjustable Driver's Seat, 2-way power lumbar support, Wheels: 17 Alloy, Auto Dimming Rear View Mirror, Leather Wrapped Steering Wheel, Gloss Black Door Pillars, LED Overhead Front & Rear Reading Lights, Panoramic Sunroof, Tires: P215/55R17. * This Kia Optima Features the Following Options *Wheels: 6.5J x 16 Silver Alloy, Variable intermittent wipers, Urethane Gear Shift Knob, Turn-By-Turn Navigation Directions, Trunk Rear Cargo Access, Trip computer, Transmission: 6-Speed Automatic w/Sportmatic -inc: paddle shifters and drive mode select system (comfort, eco, sport), Tires: P205/65R16, Tire Specific Low Tire Pressure Warning, Systems Monitor. * Stop By Today *A short visit to Quirk Kia NH located at 1300 South Porter Street, Manchester, NH 03103 can get you a tried-and-true Optima today! Scores 33 Highway MPG and 24 City MPG! This Kia Optima boasts a Regular Unleaded I-4 2.4 L/144 engine powering this Automatic transmission. WHEEL LOCKS, PLATINUM GRAPHITE, OPTION GROUP 010 -inc: standard equipment. *This Kia Optima Comes Equipped with These Options *CARPET FLOOR MATS, CARGO HOOK, BLACK, SPORT CLOTH SEAT TRIM -inc: leatherette side bolsters, Wheels: 7.5J x 18 Machine Finish Alloy, Variable intermittent wipers, UVO eServices Emergency Sos, Urethane Gear Shift Knob, Turn-By-Turn Navigation Directions, Trunk Rear Cargo Access, Trip computer. * Visit Us Today *A short visit to Quirk Kia NH located at 1300 South Porter Street, Manchester, NH 03103 can get you a tried-and-true Optima today! Delivers 33 Highway MPG and 24 City MPG! This Kia Optima boasts a Regular Unleaded I-4 2.4 L/144 engine powering this Automatic transmission. WHEEL LOCKS, REAR BUMPER APPLIQUE, PLATINUM GRAPHITE. * This Kia Optima Features the Following Options *OPTION GROUP 010 -inc: standard equipment, CARPET FLOOR MATS, CARGO NET, CARGO HOOK, BLACK, SPORT CLOTH SEAT TRIM -inc: leatherette side bolsters, Wheels: 7.5J x 18 Machine Finish Alloy, Variable intermittent wipers, UVO eServices Emergency Sos, Urethane Gear Shift Knob, Turn-By-Turn Navigation Directions. * Visit Us Today *Test drive this must-see, must-drive, must-own beauty today at Quirk Kia NH, 1300 South Porter Street, Manchester, NH 03103. Delivers 33 Highway MPG and 24 City MPG! This Kia Optima boasts a Regular Unleaded I-4 2.4 L/144 engine powering this Automatic transmission. WHEEL LOCKS, SANGRIA, OPTION GROUP 045 -inc: LX Premium Package, Dual Zone Automatic Climate Control, 10-Way Power Adjustable Driver's Seat, 2-way power lumbar support, Wheels: 17 Alloy, Auto Dimming Rear View Mirror, Leather Wrapped Steering Wheel, Gloss Black Door Pillars, LED Overhead Front & Rear Reading Lights, Panoramic Sunroof, Tires: P215/55R17. *This Kia Optima Comes Equipped with These Options *LX PREMIUM PACKAGE -inc: Dual Zone Automatic Climate Control, 10-Way Power Adjustable Driver's Seat, 2-way power lumbar support, Wheels: 17 Alloy, Auto Dimming Rear View Mirror, Leather Wrapped Steering Wheel, Gloss Black Door Pillars, LED Overhead Front & Rear Reading Lights, Panoramic Sunroof, Tires: P215/55R17 , CARGO NET, BLACK, CLOTH SEAT TRIM, Wheels: 6.5J x 16 Silver Alloy, Variable intermittent wipers, Urethane Gear Shift Knob, Turn-By-Turn Navigation Directions, Trunk Rear Cargo Access, Trip computer, Transmission: 6-Speed Automatic w/Sportmatic -inc: paddle shifters and drive mode select system (comfort, eco, sport). * Visit Us Today *Treat yourself- stop by Quirk Kia NH located at 1300 South Porter Street, Manchester, NH 03103 to make this car yours today! Boasts 33 Highway MPG and 24 City MPG! This Kia Optima delivers a Regular Unleaded I-4 2.4 L/144 engine powering this Automatic transmission. OPTION GROUP 010 -inc: standard equipment, EBONY BLACK, CARPET FLOOR MATS. * This Kia Optima Features the Following Options *BLACK, SPORT CLOTH SEAT TRIM -inc: leatherette side bolsters, Wheels: 7.5J x 18 Machine Finish Alloy, Variable intermittent wipers, UVO eServices Emergency Sos, Urethane Gear Shift Knob, Turn-By-Turn Navigation Directions, Trunk Rear Cargo Access, Trip computer, Transmission: 6-Speed Automatic w/Sportmatic -inc: paddle shifters and drive mode select system (comfort, eco, sport), Tires: P235/45R18. * Stop By Today *For a must-own Kia Optima come see us at Quirk Kia NH, 1300 South Porter Street, Manchester, NH 03103. Just minutes away! Boasts 33 Highway MPG and 24 City MPG! This Kia Optima boasts a Regular Unleaded I-4 2.4 L/144 engine powering this Automatic transmission. OPTION GROUP 010 -inc: standard equipment, EBONY BLACK, CARPET FLOOR MATS. * This Kia Optima Features the Following Options *BLACK, SPORT CLOTH SEAT TRIM -inc: leatherette side bolsters, Wheels: 7.5J x 18 Machine Finish Alloy, Variable intermittent wipers, UVO eServices Emergency Sos, Urethane Gear Shift Knob, Turn-By-Turn Navigation Directions, Trunk Rear Cargo Access, Trip computer, Transmission: 6-Speed Automatic w/Sportmatic -inc: paddle shifters and drive mode select system (comfort, eco, sport), Tires: P235/45R18. * Visit Us Today *Stop by Quirk Kia NH located at 1300 South Porter Street, Manchester, NH 03103 for a quick visit and a great vehicle! Boasts 33 Highway MPG and 24 City MPG! This Kia Optima delivers a Regular Unleaded I-4 2.4 L/144 engine powering this Automatic transmission. OPTION GROUP 010 -inc: standard equipment, EBONY BLACK, CARPET FLOOR MATS. *This Kia Optima Comes Equipped with These Options *BLACK, SPORT CLOTH SEAT TRIM -inc: leatherette side bolsters, Wheels: 7.5J x 18 Machine Finish Alloy, Variable intermittent wipers, UVO eServices Emergency Sos, Urethane Gear Shift Knob, Turn-By-Turn Navigation Directions, Trunk Rear Cargo Access, Trip computer, Transmission: 6-Speed Automatic w/Sportmatic -inc: paddle shifters and drive mode select system (comfort, eco, sport), Tires: P235/45R18. * Visit Us Today *Come in for a quick visit at Quirk Kia NH, 1300 South Porter Street, Manchester, NH 03103 to claim your Kia Optima! Scores 33 Highway MPG and 24 City MPG! This Kia Optima boasts a Regular Unleaded I-4 2.4 L/144 engine powering this Automatic transmission. SNOW WHITE PEARL, OPTION GROUP 010 -inc: standard equipment, CARPET CARGO MAT. *This Kia Optima Comes Equipped with These Options *BLACK, SPORT CLOTH SEAT TRIM -inc: leatherette side bolsters, Wheels: 7.5J x 18 Machine Finish Alloy, Variable intermittent wipers, UVO eServices Emergency Sos, Urethane Gear Shift Knob, Turn-By-Turn Navigation Directions, Trunk Rear Cargo Access, Trip computer, Transmission: 6-Speed Automatic w/Sportmatic -inc: paddle shifters and drive mode select system (comfort, eco, sport), Tires: P235/45R18. * Stop By Today *Come in for a quick visit at Quirk Kia NH, 1300 South Porter Street, Manchester, NH 03103 to claim your Kia Optima! Delivers 33 Highway MPG and 24 City MPG! This Kia Optima boasts a Regular Unleaded I-4 2.4 L/144 engine powering this Automatic transmission. WHEEL LOCKS, SNOW WHITE PEARL, OPTION GROUP 010 -inc: standard equipment. * This Kia Optima Features the Following Options *CARPET FLOOR MATS, CARGO HOOK, BLACK, SPORT CLOTH SEAT TRIM -inc: leatherette side bolsters, Wheels: 7.5J x 18 Machine Finish Alloy, Variable intermittent wipers, UVO eServices Emergency Sos, Urethane Gear Shift Knob, Turn-By-Turn Navigation Directions, Trunk Rear Cargo Access, Trip computer. * Stop By Today *Stop by Quirk Kia NH located at 1300 South Porter Street, Manchester, NH 03103 for a quick visit and a great vehicle! Scores 33 Highway MPG and 24 City MPG! This Kia Optima boasts a Regular Unleaded I-4 2.4 L/144 engine powering this Automatic transmission. PASSION RED, OPTION GROUP 010 -inc: standard equipment, MUD GUARDS FRONT & REAR. * This Kia Optima Features the Following Options *CARPET FLOOR MATS, BLACK, SPORT CLOTH SEAT TRIM -inc: leatherette side bolsters, Wheels: 7.5J x 18 Machine Finish Alloy, Variable intermittent wipers, UVO eServices Emergency Sos, Urethane Gear Shift Knob, Turn-By-Turn Navigation Directions, Trunk Rear Cargo Access, Trip computer, Transmission: 6-Speed Automatic w/Sportmatic -inc: paddle shifters and drive mode select system (comfort, eco, sport). 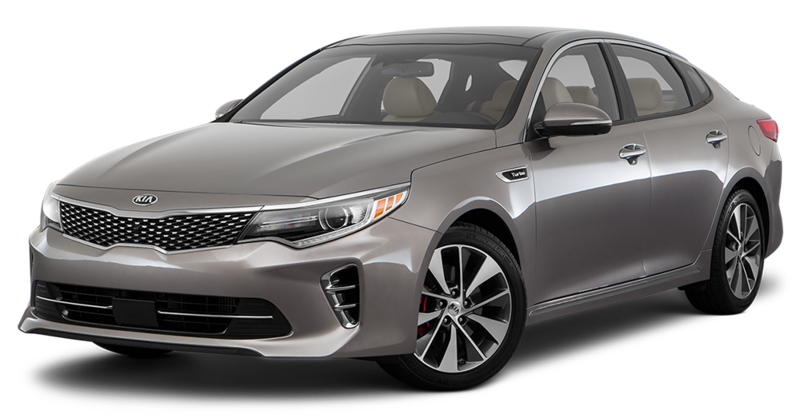 * Visit Us Today *A short visit to Quirk Kia NH located at 1300 South Porter Street, Manchester, NH 03103 can get you a trustworthy Optima today! Quirk Kia of Manchester makes every effort to present information that is accurate. However, Quirk Kia of Manchester is not responsible for any errors or omissions. Picture may not represent actual vehicle. 0 cash down offers require only fees due at signing, KMF lease acq. fee, dealer doc fee, tags and first payment. All pricing includes all available rebates including Military Appreciation, Quirk Trade In Assistance, Kia Motor Company Rebates, Kia Motor Finance Rebates, and Quirk Discounts. Pricing based off Tier 1 Lease score, 720 FICO score with approved credit with KMF and 10K miles per year. 0% financing, in lieu of certain rebates, requires approved credit with KMF, and can not be combined with advertised pricing. Various offers can not be combined. All New 2019 Stinger, Cadenza and 2020 Telluride pricing also includes an Owner Loyalty/Competitive Bonus rebate, which buyers must qualify for. Residency restrictions apply. Must trade a 2010 or newer vehicle. Tax (where applicable), title, registration, and doc. fees are not included in vehicle prices. Dealer installed options are additional. Documentation fee of $399 is not included in price of vehicle Terms and conditions . **With approved credit. Terms may vary. Monthly financing payments are only estimates derived from the vehicle price with a 72-month term 3.9% interest and 30% down payment. Please verify any information in question with Quirk Kia of Manchester by calling us at (603) 505-8870 or by visiting us. *Number of views in last 30 days Based on 2019 EPA mileage ratings. Use for comparison purposes only. Your actual mileage will vary depending on how you drive and maintain your vehicle. Stock#KS3362. Sale Ends 04-30-2019.